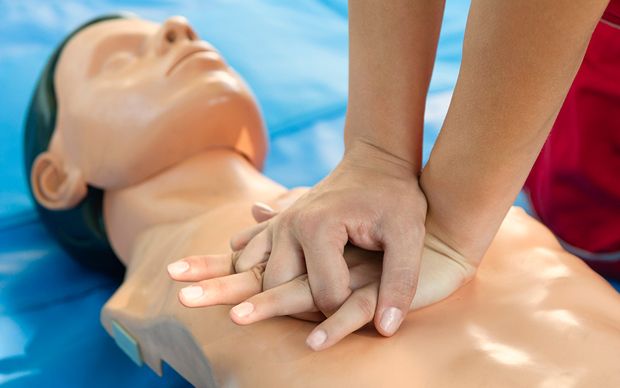 Are you looking to obtain your CPR certification for work? CPR training and certification is one of the most important pieces to proper office safety. While it may not exactly be required, knowing a bit about CPR history and how it came to be the standard workplace health and safety certification may help you to familiarize yourself with the topic. This will certainly increases your odds at passing the test. It may also be beneficial to know if you own a home healthcare business or work in the healthcare field. Keep reading to learn a little bit more about the history of CPR and how it became what it is today. Drs. James Elam and Peter Safar were the first two men to invent the mouth-to-mouth resuscitation process. While there were attempts at rescue breathing prior to these two particular doctors, Elam and Safar are credited with the discovery of the method we recognize today as part of the CPR process. The pair perfected their method and released it to the public in 1956. This was the beginning of how all programs, including the Six Sigma training programs, came to be. One of these two doctors, Dr. Safar, later went on to author a book about CPR. The book was titled “ABC of Resuscitation.” This book detailed many CPR advantages over other traditional emergency procedures in use at the time. It also acted as a guide to CPR for professionals and laymen alike. This book became the Bible of CPR. However, this was only the start of the rise of CPR. Just one year later, the United States military adopted mouth-to-mouth resuscitation for use in revival of unresponsive military men and other victims. This was way before the idea of free online courses on the topic was even a possibility. Clearly, it was at this time that rescue breathing began to legitimize itself as the strongest tool we had to bring back victims who were no longer responsive. Once the military began to use this form of rescue breathing as the standard, it was not long until the civilian world followed suit. Although mouth-to-mouth resuscitation was in used starting in 1956, it was not until four years later that CPR, as we know it, was invented. Cardiopulmonary resuscitation, or CPR, was developed in 1960 by the American Heart Association. This group standardized the process of resuscitation and began to open training programs to the public. This officially marked the beginning of CPR certification as we know it. Years later, in 1966, the American Heart Association and the Red Cross joined together at the first of many conferences to formally standardize CPR training programs. This was in response to requests made by the two organizations, who understood the value of CPR and its effects in the medical community. It is thanks to this one conference, that occurred way before GetResponse email was ever a thing, that you are able to get CPR certified today. A few years later, a man by the name of Leonard Cobb made an incredible contribution to the medical community. In 1972 he hosted the world’s first mass certification training in Seattle, Washington. The training program was called Medic 2 and was responsible for over 200,000 people receiving their CPR certification over the course of just two years. It is thanks to Leonard Cobb that many certifications were gained and, surely, many lives saved. If you are looking to get certified in CPR and want to find CPR courses in your area, the best bet is to visit the website of one of the institutions mentioned above. The American Heart Association and the American Red Cross offer CPR certification classes year round in many locations. Your company may also offer these certification classes as part of employee wellness programs, so be sure to check with your HR department first. If they do not, the AHA and the Red Cross are excellent alternatives. To sign up for a CPR certification course that fits your schedule, visit the websites of these organizations. Understanding the history of CPR will not help you to know how to save someone’s life, but it could certainly help you pass the CPR certification test with a bit less anxiety. If you find yourself needing a CPR history refresher, just navigate right back to this post. Good luck on your CPR certification test!